The Wuzhen Theatre Festival kicked off on 13, Oct in Wuzhen, a traditional and fascinating water town in east China’s Zhejiang province. This annual carnival will last until Oct. 22. The Festival invited artists and performers from 13 countries and regions, with nearly eighty theater shows to be staged. Besides, Youth Theatre Artist's Competition, a major component of the Wuzhen Festival, will witness 18 teams competing for the drama awards. Moreover, a nonstop carnival will be ongoing in the narrow streets and small plazas of the ancient town. 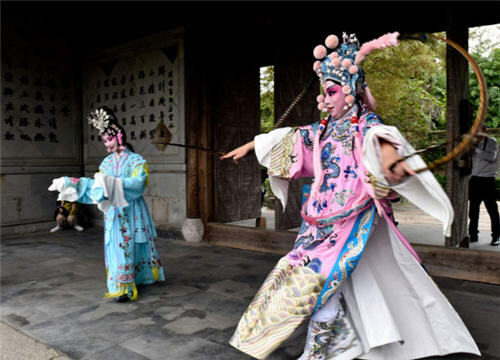 Performance artists will perform in thousands of performances, including street theatre, music, contemporary performance art, and traditional Chinese opera and juggling, and many others.